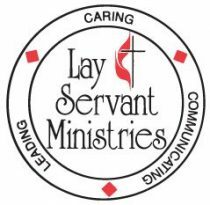 Lay Servant Classes are open to anyone regardless of the district in which your church resides. The fee for all classes is $25 and includes class materials and refreshments. You may pay the $25 fee at the first class on October 2, but you MUST register for your class either online or paper. Please arrive at 6:30pm on October 2 for orientation. Registration deadline is September 15. Questions? Please contact Jody Pratt prattgji09@gmail.com, 616.292.4908. Registration process questions? Please contact Liz at lbode@michiganumc.org, 616.459.4503.